Native Roots in Eagle-Vail wants to rename Sports Authority Field as Native Roots Field at Mile High (David O. Williams photo). Could Sports Authority Field soon be called Native Roots Field at Mile High? Officials at legal marijuana retailer Native Roots, founded by Vail developer Peter Knobel, definitely think so, triggering what will no doubt be a robust debate on naming an athletic stadium after a company that sells a less-than-performance-enhancing substance. Even if Native Roots never lands its name on the stadium where the world champion Denver Broncos play, it’s already been a brilliant PR move. Right now, those rights belong to bankrupt Sports Authority, the struggling sporting goods retailer that pays $6 million a year for its moniker on the house that John Elway built. A two-time Super Bowl champion as a player, Elway is now the architect of the latest champion as a team executive. But the real face of the team is Super Bowl MVP linebacker Von Miller, who was suspended after testing positive for marijuana in 2011, which triggered the debate on whether the NFL should even ban marijuana when it’s legal in an increasing number of states — starting with Colorado in 2013. And then there’s the alcohol-versus-marijuana debate, which will likely stir up those who feel the Coors name should not be plastered all over the CU Event Center. If a brewer can name a stadium, why can’t a pot shop? All of this will only further the discussion on whether legalized marijuana is turning young residents of the fittest state in the union into a bunch of basement-dwelling Cheeto-eaters, which was the greatest fear of Gov. John Hickenlooper. Later in this post, re-read a Rocky Mountain Post story that first appeared in The Parents Handbook and includes an interview with a former high school and college football player and current marijuana entrepreneur. CBS 4 TV in Denver is reporting that Native Roots, a marijuana dispensary chain owned by Vail developer Peter Knobel, is interested in purchasing the naming rights for Mile High Stadium, home of the Denver Broncos, if bankrupt Sports Authority can no longer afford the $6 million annual tab. 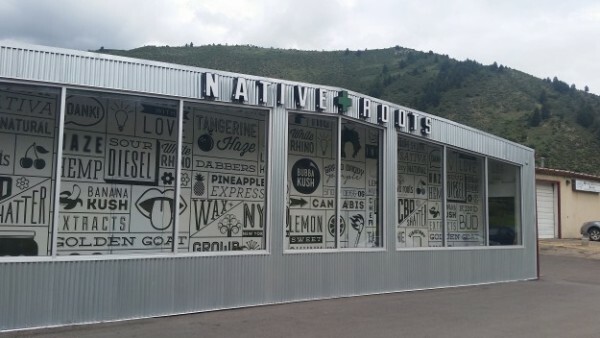 CBS 4 reported that Native Roots has expanded from one store to 14 all over the state in the past year, including its store in Eagle-Vail. Knobel, the developer behind the Solaris Vail project that is credited in part with revitalizing Vail Village, has extensive real estate holdings throughout Vail, including the Evergreen Lodge adjacent to the Vail Valley Medical Center. Marijuana sales are prohibited in the town of Vail. “Native Roots was born and raised in Colorado and we are the natural candidate for this. I don’t see cannabis going anywhere but up right now so we are prepared for that,” said Jordan, who acknowledged it was bad timing to announce the company’s interest on April 1. It doesn’t matter who you’re talking to in Colorado these days – or even outside of the state – the topic of pot will come up. There is a fascination with the state’s legalization of recreational marijuana in 2014 that borders on obsession. And don’t think your kids aren’t listening. The fact is, no matter how you voted on 2012’s Amendment 64 – which led to Colorado in 2014 becoming the first state in the nation to begin legal sales of recreational marijuana – very little has changed. And then again everything has changed. One pot shop employee compared it to the end of the Prohibition on alcohol in 1933. It was just four years later that the federal government first began passing laws that criminalized marijuana consumption. Virtually since the inception of the Colorado ski industry, but especially during its boom in the 70’s and 80’s, Rocky Mountain High has had at least two meanings. Vail’s old Vistabahn bubble chairlift recently replaced by Gondola One used to be referred to, with a wink and a nod, as the “Rastabahn” for the clouds of smoke that wafted from it like the crowd at a Bob Marley concert. Weed has been de facto legal in ski towns for decades. Police, for the most part, looked the other way, and a one-hitter or a joint was as standard a piece of ski equipment as a bota bag full of wine. It’s still illegal to smoke legally purchased pot in public, especially on U.S. Forest Service land leased from the feds by most of the state’s ski areas. Still, that skunky smell persists. Some tourists from more conservative parts of the country are stunned at the open display of what has been taboo for most of the 20th century and the first decade of the 21st century. And a lot of them are even more shocked to see actual stores in Eagle-Vail and Eagle openly selling pot. But what really sends some folks over the edge is how everybody is talking about it. That’s where the kids come in. They hear everything. The stories on the local news. The arguments around the dinner table. The constant questions from out-of-towners fascinated by this new phenomenon. And as much as they’ll tell you they have no interest in disgusting adult habits, many kids of a certain age can’t wait to sneak their first cigarette, tentatively sip their first beer, or … eat their first edible pot product. Unquestionably, even though marijuana has always been around and could be acquired by any truly enterprising and curious teenager for decades, it’s now much more accessible in Colorado – if for no other reason than a 21-year-old Colorado resident can go into any local pot shop and legally buy up to an ounce. Then he or she can illegally sell or share it with friends under 21. The question for parents then, in one of the four states – Colorado, Alaska, Oregon and Washington, plus Washington, D.C. – that have voted to legalize recreational marijuana (as opposed to medical marijuana, which is legal in 23 states and D.C.) is how do I talk to my kids about pot when it’s all the rage? And how do I keep them from consuming it, breaking the law and possibly impairing their brain development before they’re 21? That, in and of itself, is a tricky question. There are varying studies on the extent to which marijuana consumption can impair the healthy development of an adolescent brain. But no matter what your experiences tell you from your own possibly wayward youth, most at least minimally responsible parents agree that letting your kids lie around smoking pot all day in the basement is a bad idea. Just like you wouldn’t let them drink excessively, or take pills. 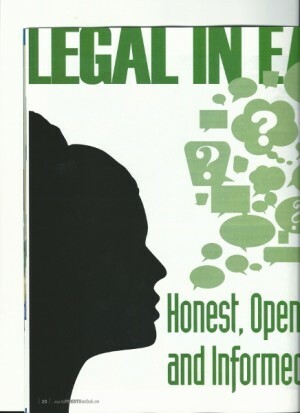 So The Parents Handbook set out to explore these sticky issues, and three words kept coming up no matter who we interviewed – from law enforcement to healthcare professionals to addiction counselors to marijuana retailer. They all urged parents to be honest, open and informed. In many ways, says Richards and other experts, the pot conversation needs to be the same one parents have with kids about other things that are illegal or inadvisable under the age of 21. Dena Southerlan, MSW, a certified substance abuse counselor with Rocky Mountain Counseling in Eagle, says that for children and families in Colorado it doesn’t matter that recreational marijuana is now legal for adults over the age of 21. And part of that education, Southerlan says, center on just how harmful excessive marijuana consumption can be in the teen years. “The overwhelming amount of research that has been done on the effects of marijuana on a child’s development focuses on the probability of future problems and the fact that the most commonly used gateway drug is marijuana – hands down,” Southerlan said. She also sees pre-teen and teenaged pot smokers suffering from paranoia, anxiety, depression and general demotivation that impacts their ability to perform well in school, both academically and athletically. Nick Brown, owner of High Country Healing and its seven retail and medical marijuana outlets in Silverthorne, Colorado Springs and Alma (near Breckenridge), agrees that parents need to be completely open to discussing the potentially harmful effects of marijuana with their kids. “There’s a lot more money going to research to show what cannabis is doing to the health systems of human beings, and really the main finding anyone has found on the negative side is that it potentially does alter the brain growth in adolescent children,” Brown said. However, the former Woodland Park High School standout and Princeton economics graduate adds that he’s living proof that some marijuana myths simply don’t stand up to scrutiny. But Brown knows everyone is different, and he acknowledges that habitual use of cannabis can inhibit the motivation of adolescents. He also knows that teenagers can and will get marijuana if they really want it. For instance, the proliferation of edible marijuana products – many of which look just like normal cookies and candies – has been a game-changer. Many parents in their 40’s or 50’s who have been in the Vail Valley for 15 or 20 years came here to enjoy a ski-town lifestyle. Besides outdoor recreation – hard-charging on skis and mountain bikes — that lifestyle often came with some hard-charging in bars and clubs. And in addition to rivers of beer, Jaeger and tequila shots, that after-hours activity may have included marijuana or even harder drugs. Now the ski bums have grown up and have little park rats of their own. Deputy Richards encourages complete honesty with your kids when it comes to past drug use – just don’t glorify that past by emphasizing the partying or dismissing its impacts. “I hear that a lot from parents,” Richards said. “‘I survived it; it’s no big deal. I’m successful. I own my own business. I’m making six figures.’ Whatever their success story turned out to be, that’s great — wonderful. And I would agree that just because you dabble or experiment doesn’t mean that you become a junky. We need to be real clear about that. Family drug counselor Southerlan concurs. Richards adds that parents need to go into retail marijuana stores and do their homework, learning the lingo, familiarizing themselves with the products and becoming educated on the potency of today’s pot. Such potency couldn’t really be found at the Dead shows of the 80’s or even the Phish shows of the 90’s. For that reason, Richards implores parents to educate themselves and then educate their kids. Grant Troeger, retail manager at the marijuana retail store Native Roots in Eagle-Vail, encourages parents to come in and see what the buzz is all about. To shun or ignore the stores is to embrace ignorance and invite misinformation, Troeger adds. “The most important thing nowadays is to not deny the fact that it is legal now and it should be addressed in terms of education compared to shunning it and saying, ‘This is terrible thing,’” Troeger said. “We’ve had the police departments come in here, the fire department. We spend time with people. People want to know, and that’s our job. But besides education and honest and open communication, it’s a good idea to know who your kids’ friends are and the values and rules practiced by those friends and their parents, Richards says. Finally, look for obvious and not-so-obvious signs of drug use, such as red eyes, the smell of pot smoke, money issues and a drop in performance at school. Richards is one of about 180 certified drug-recognition experts in the state of Colorado – a designation put in place to enforce new drug driving laws but also useful in the hallways and parking lots of local schools. A mother of four whose oldest child is 12, Richards practices and recommends random, in-home urine tests for kids when they’re old enough to start being out on their own with friends who may use drugs. Urine tests can be purchased online or at Walmart or other stores, and Richards recommends random, periodic testing so kids can’t figure out the timing to beat the tests and because the tests can only determine consumption that’s metabolized in the system over time as opposed to recent use. She also suggests starting the process before you suspect there’s a problem. Southerlan agrees with the in-home testing approach. Again, she says it’s an individual choice that may not work with all families, but that if it’s portrayed properly – as a positive rather than punitive measure – testing can keep a kid’s head in the game both academically and athletically. And that should apply to any and all steps taken to monitor, prevent and mitigate the impacts of drug use among adolescents. The one nonnegotiable factor, however, that all experts seem to agree on, is the need for honest, open dialogue with your kids. A partnership between the Eagle County Sheriff’s Office and the Eagle County School District, the School Resource Officer program includes two deputies who work in the local schools as police, teachers and counselors. Psychotherapist Dena Southerlan, MSW, is a certified substance abuse counselor with Rocky Mountain Counseling in Eagle. Go to their website at www.rockymtncounseling.com, call 970-445-2700 or email Dena at dsoutherlan@aol.com. Native Roots in Eagle-Vail will walk concerned parents through the various products for sale at their stores and others in Eagle County. They are considering hosting parent nights for educational purposes, and local law enforcement officials recommend parents familiarize themselves with the products and lingo of the retail marijuana industry. Call 970-470-4079 or go to the Native Roots website at http://www.nativeroots303.com/. Here’s a quick primer on Colorado marijuana laws from the official State of Colorado website at https://www.colorado.gov/pacific/marijuanainfodenver/residents-visitors. Retail marijuana is intended for private, personal use in certain locations not open or accessible to the public. Marijuana may not be consumed openly or publicly. Colorado residents 21 and older can purchase and possess up to 1 ounce of retail marijuana at a time. Non-residents can purchase up to a quarter ounce at a time. It is illegal to consume marijuana in or around a licensed store. It is also illegal to smoke at indoor-but-public locations such as bars, restaurants and common areas in buildings. marijuana “social clubs” or “coffee shops” are illegal under Colorado law. Penalties for violating any of these laws range from a fine to a possible jail or prison sentence. Colorado State Statutesand Denver Revised Municipal Code spell out the specific penalties for various violations. Possession laws are the same for all retail marijuana types, including edibles, and public consumption is always illegal, regardless of form. Marijuana may be carried in cars but it may not be in an open container and cannot cross state boundaries. It is illegal to use or consume marijuana in a motor vehicle and it is illegal to drive under the influence of marijuana. It is illegal to take marijuana across state lines. Denver International Airport prohibits possession, use, display, and transfer of all marijuana on its property. It is illegal to consume marijuana in public, which includes public transportation. It is up to the discretion of the hotel if it allows marijuana smoke to be consumed in their smoking rooms. You should ask the hotel if they allow it.